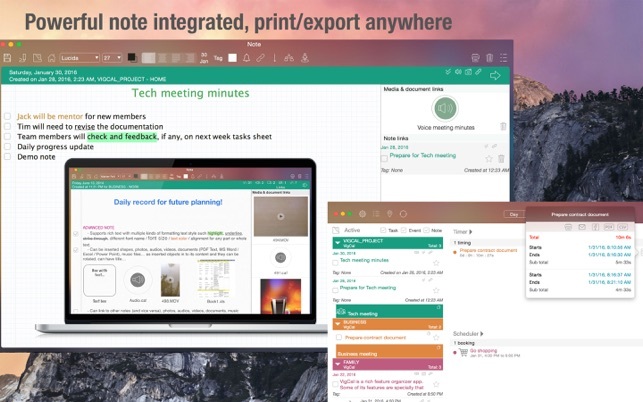 • Support multiple contexts for task, event and note. Each context can have its own time set. • See events, tasks and notes in all views: Day, Week, Month, Active list and Map. 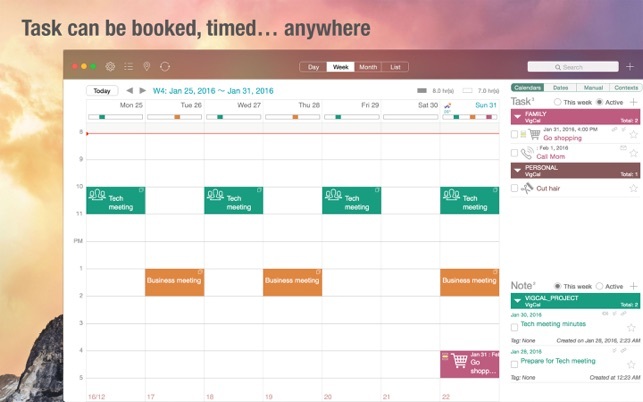 • Events, tasks and notes can be grouped by Calendars, Dates, Manual, Contexts, Tags and Contacts. 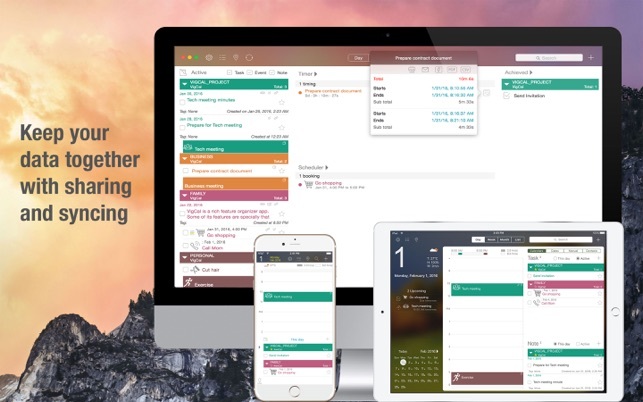 • Free/Busy shows you how much free time you have left in all views. • Flexible weekday starts, working day hours and ordering. 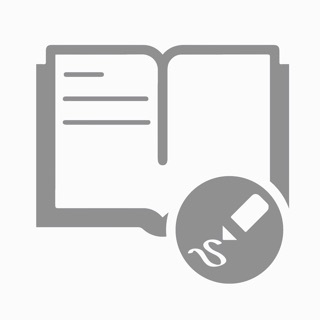 • Events, tasks and notes can be created anywhere with minimum of steps. 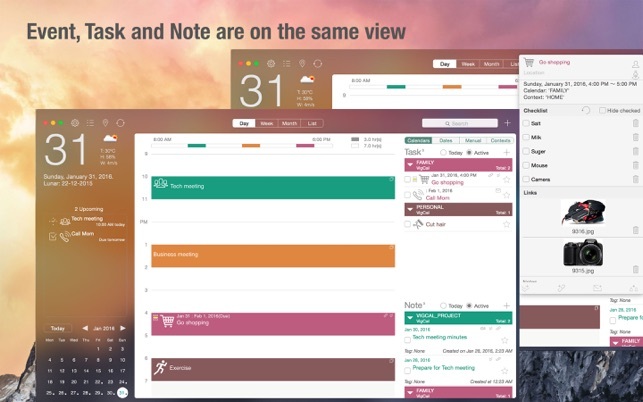 • Drag and drop task, event and note anywhere to change its time automatically or convert it quickly. • Completed tasks can be exported to many kinds of file format so that you can read them on PC. • The application will fit your list of tasks into your calendar by booking function. 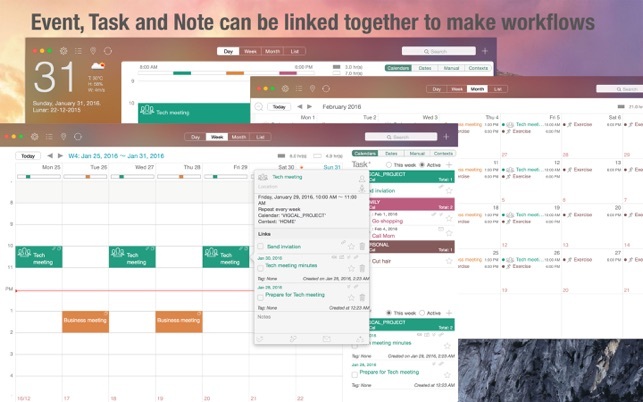 • Tasks, events and notes can be linked together to make them into workflows. • They can also attach photo, audio, video, document files... not just inside your device, but also from web. 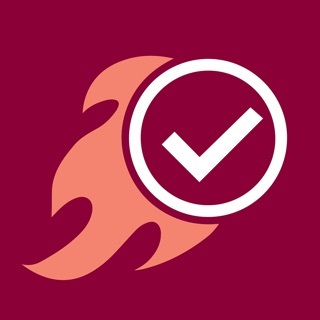 • Send/receive invitation your task or event to a list other VigCal users via email. • Show your tasks, events and notes, that are around your current location, on an embedded map with adjustable distance. • VigCal can sync with other VigCal (Mac or iOS version) via iCloud. • Sync with multiple devices via iCloud. • Your data can be backup automatically (or manually) for future restoring. • Data can be exported as PDF/CSV/Photo and sent via email. • Minimal click/type to enter your data. - Support dark style appearance. 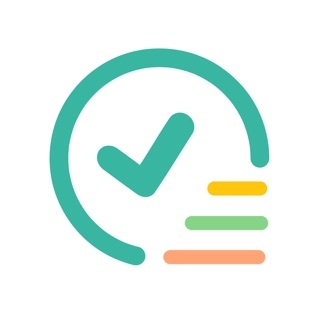 This looks like it could be a great app and very intuitive, but needs more tweaking. For example I have no idea how to delete a note that I’ve copied to the calendar. There’s no trashcan for it. I really love interactive calendars and would love to see this particular one take it to the next level and be more user friendly.